Client reached out to me after seeing my profile; sounds as if he wants to hire me; wants to send me "detailed" info on the job and I'm assuming via my personal email; Upwork shows them as "verified payment." How can he send me info without giving him my personal email; I'm not sure if verified payment means that it's not a scam. Verified payment only means that they've added a known good payment method to their account, nothing more. As for sending you the info by email, there's nothing stopping you from communicating with him that way. Just keep in mind that the ONLY thing enforceable is an active contract through UpWork. 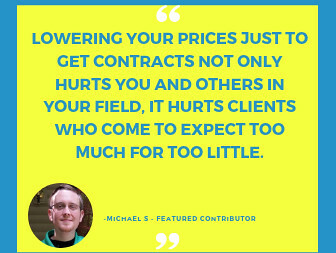 You can discuss the details however you like, but make sure that the contract terms are spelled out on UpWork and agreed to before doing any work for a client. If it doesn't show up in your "My Jobs" list, you don't have a job. The decision of sharing your email address with your client is up to you, and how you manage your freelancer business. If you do so, and your client shares with you more information about the job, you may recap the discussion on your Upwork messages page for transparency. As a gentle reminder, please know that working off the platform is a violation of the Upwork Terms of Service. I would recommend that you read up on these freelancer resources and these tips for avoiding questionable jobs for help getting started, and for more information about working safely through Upwork. Hi, please clarify a little more: You first stated that I can communicate with client outside of Upwork but as an added security, I should copy our conversations into Upwork. That I understand. But then you went on to say to be mindful that working outside of Upwork's platform is against the rules. That's where I'm confused. That sounds like even having email convos outside of Upwork is against the rules? 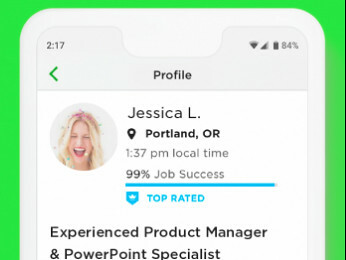 Please clarify as to what types of things are working outside of Upwork's platform? Sorry if my response has confused you in any way. Communicating outside of Upwork should be okay. 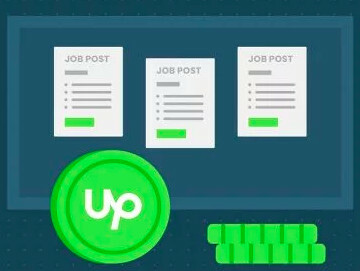 However, offering and/or accepting jobs outside the platform is a violation of the Upwork Terms of Service.There have been cases where communication was taken outside the platform, and jobs were completed offline. This is considered circumvention and may result to a permanent suspension of both the freelancer, and the client's account. I would like to share this help article so that you have an idea what actions may result to a temporary or permanent suspension of a user's account. Thank you. So, wld u want client to share detailed info on the job via messaging me through Upwork's message board. Not Detailed info that is described in client's post but detailed work. For e.g. send a list of ppl to call with their nos; send notes to be typed, etc. I understand that Upwork doesn't want freelancers and clients to take things off Upwork bc then Upwork looses financially. I'm just trying to see how does the client send actual work to freelancer. What they mean is they don't want you circumventing the Upwork system when it comes to getting paid. For some contracts it just isn't feasible to transfer documents or deliverables through UW, and that's fine. You can do the job however is best for you and your client. However, as you initiated the contract in Upwork, you and your client are obligated to use Upwork's payment system for completing the transaction. If you do THAT outside of Upwork, you are violating the terms of service and both your account and your client's will be terminated (among other penalties spelled out in the Terms of Service). Just be sure you keep in mind that, depending on how the job is structured, you may not be covered by the payment protections in place. For a fixed-price job, the protection only applies if the escrow is funded, and you submit your deliverable through the "Submit Work And Request Payment" button. If it's hourly, you are only covered if you're using the time tracker and have sufficient activity to show you are actively working on the contract. Manually entered hours are NOT covered if there is a dispute. Also, don't do ANY work until there is an active contract from the client in your "My Jobs" list, and be sure the terms spelled out in that contract match whatever you discussed. Bottom line is, there's no hard and fast rule for how you actually carry out the work, so long as it's legal, within Upwork's ToS, and your payment is done through Upwork. But trust your gut. If something feels "off", it's better to walk away than end up getting scammed.